BRUSSELS (Reuters) -- The European Union sought sweeping powers over national car regulations on Wednesday, aiming to prevent a repeat of Volkswagen's emissions test cheating scandal. Under the proposed new rules, Brussels would be able to order spot checks on vehicles, order recalls and impose penalties on automakers of up to 30,000 euros ($32,600) per vehicle for failure to comply with environmental laws - if no fine was being imposed by the member state. The new plans would also authorize individual EU member states to recall cars approved by any of the bloc's other nations for violations, encouraging peer review of national authorities. 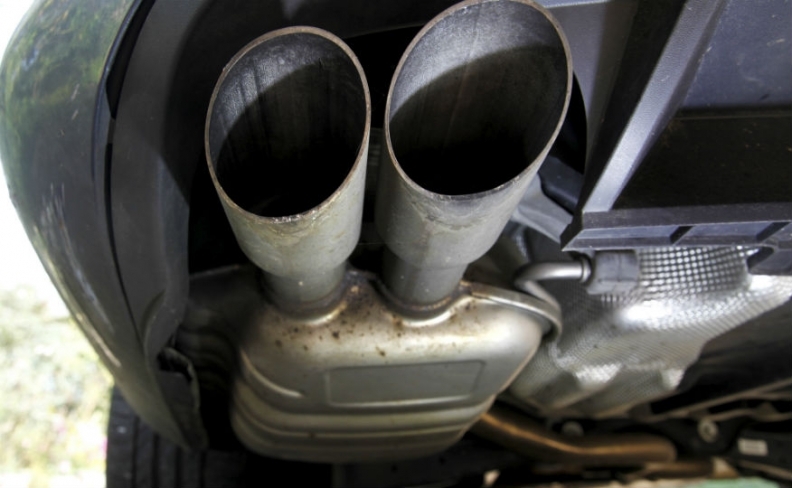 The planned legislation is the strongest EU response yet to Volkswagen's admission in September that it used software to cheat U.S. diesel admissions tests - a scandal which has shone a light on the EU's lax vehicle regulations. "To regain customers' trust in this important industry, we need to tighten the rules but also ensure they are effectively observed," said Jyrki Katainen, the European Commission's vice-president for jobs, growth, investment and competitiveness. Under existing rules on vehicle type approval, Germany's KBA authority alone has the power to both approve new Volkswagen cars and to revoke those licenses, although the cars can be sold across the EU single market. So far, no EU national authority has imposed a penalty on Volkswagen, even though it has said around 8.5 million of the 11 million vehicles fitted with banned software are in the region. Critics see this as a sign of collusion between national governments and the auto industry, a major source of jobs and exports in the bloc's biggest economies of Germany and France. The reform seeks to break cozy relations between carmakers and the laboratories they hire to test new vehicles by introducing a funding pool from which testing agencies are paid. Under the new plan, the EU executive would be able to fine or suspend the licenses of testing bodies it deemed too lax. Brussels is also trying to close a loophole whereby testing for toxic nitrogen oxide (NOx) pollutants is currently done in laboratory tests rather than under real road conditions. But that legislation faces opposition in European Parliament because the current proposal would still allow cars to carry on spewing out more than twice official emissions limits. Critics say the plans were watered-down after some of the EU's 28 member states sought to protect their car industries. The new legislation will spark a tough debate as governments and industry resist change. If it is approved by EU member states and the European Parliament, future breaches would result in possible multi-billion euro costs for manufacturers. The new reforms will likely meet stiff resistance from nations such as Britain, which generally opposes taking powers away from national authorities, and Germany, with its large automotive industry. "It will be attacked heavily by the member states because it boils down to giving away sovereignty to Brussels," Green member of parliament Bas Eickhout said. The proposals stop short of creating an independent EU-wide regulator along the lines of the U.S. Environmental Protection Agency, which uncovered Volkswagen's wrongdoing. In a direct attempt to guard against a repeat of the VW scandal, however, they mandate automakers to provide access to software protocols. So-called "defeat device" software has been illegal in the EU since 2007. Nevertheless, the European Commission's own research showed in 2011 that NOx pollution by vehicles on the road was some four times higher than in tests. Altering carbon dioxide emissions - a separate issue to NOx pollution - can be achieved via a variety of engineering tricks to reduce fuel consumption such as switching off air conditioning and improving aerodynamics by removing wing mirrors and taping up doors.